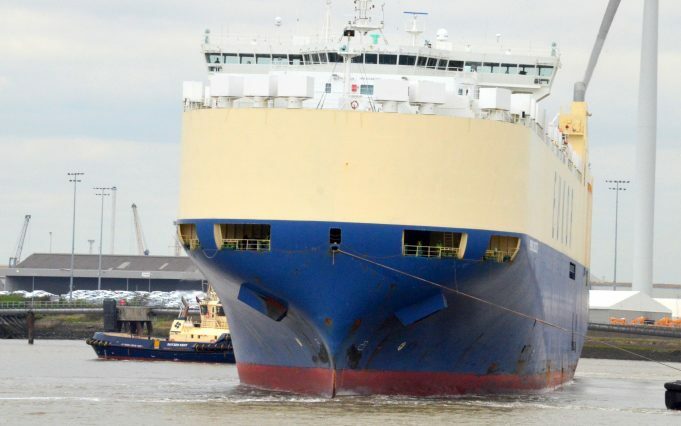 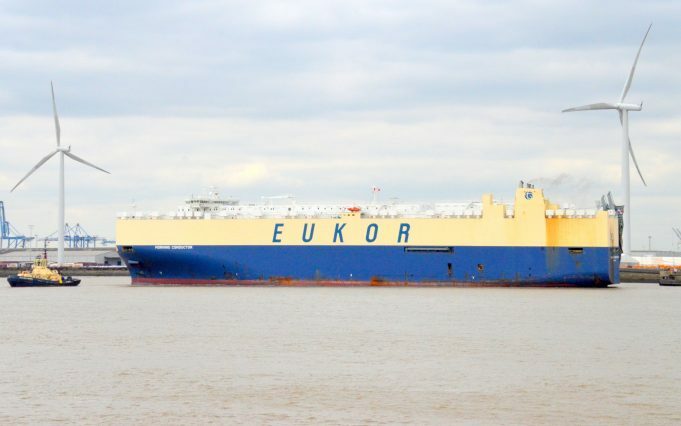 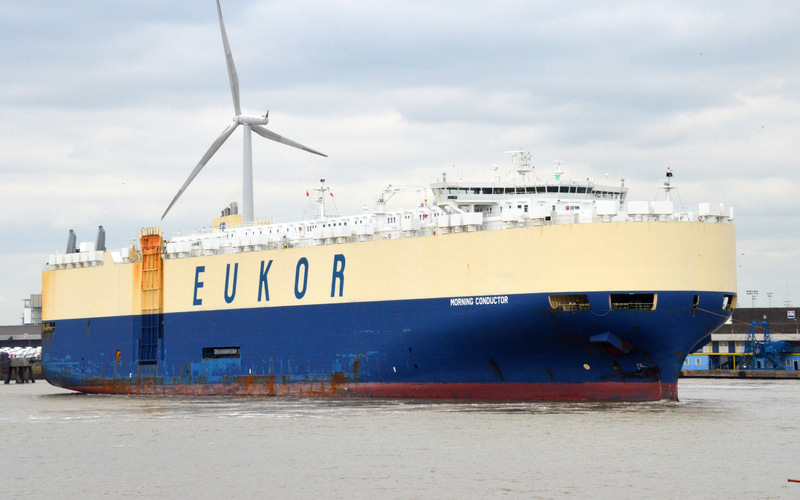 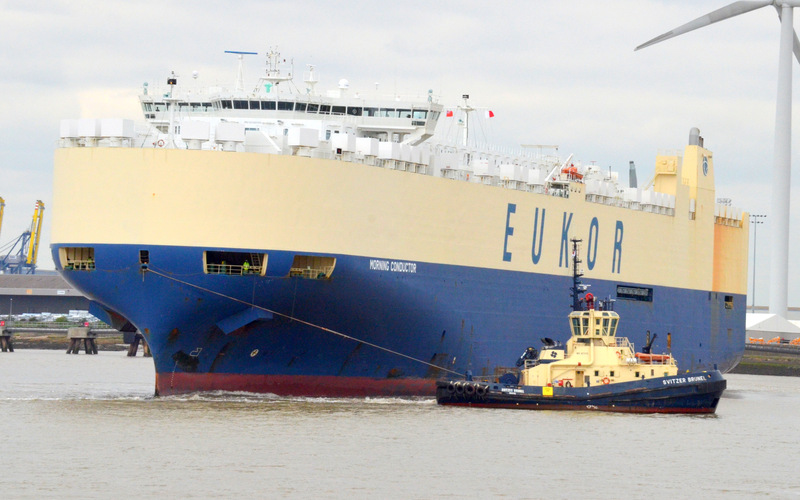 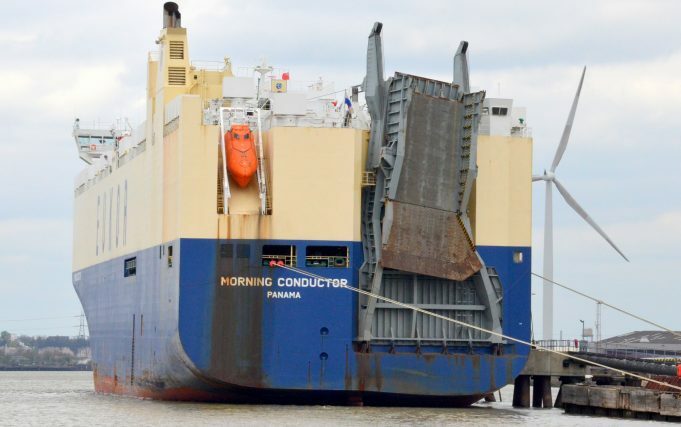 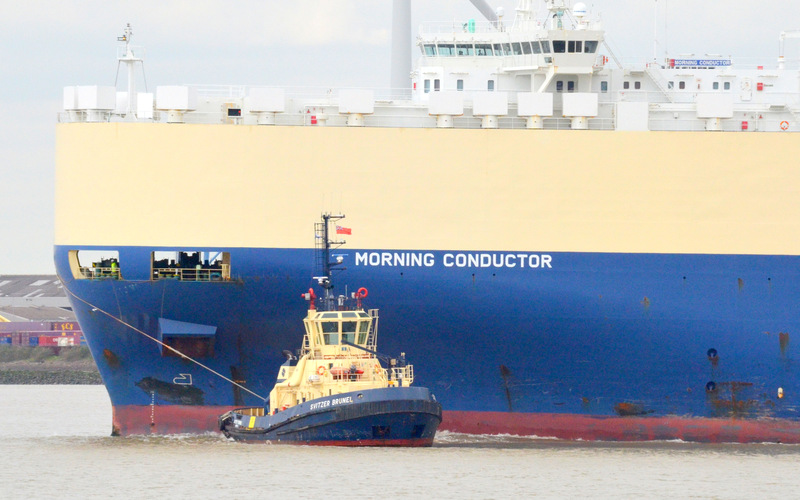 The car transporter MORNING CONDUCTOR turning in the Thames on 18/4/2016. 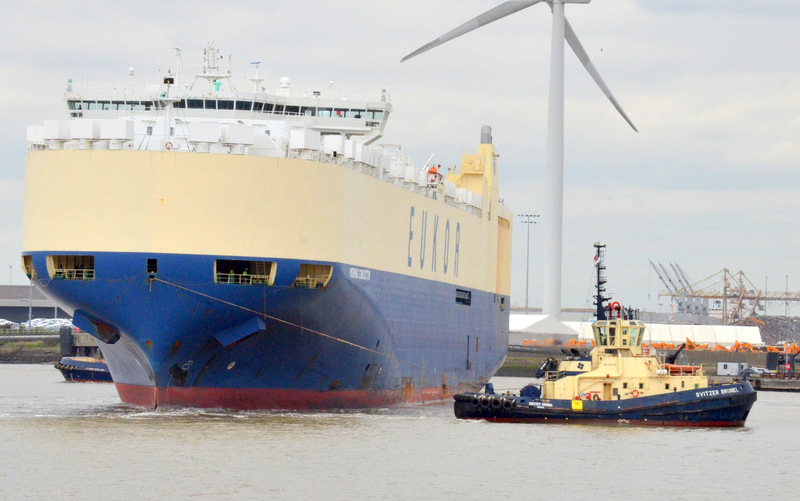 She was bound for Antwerp. 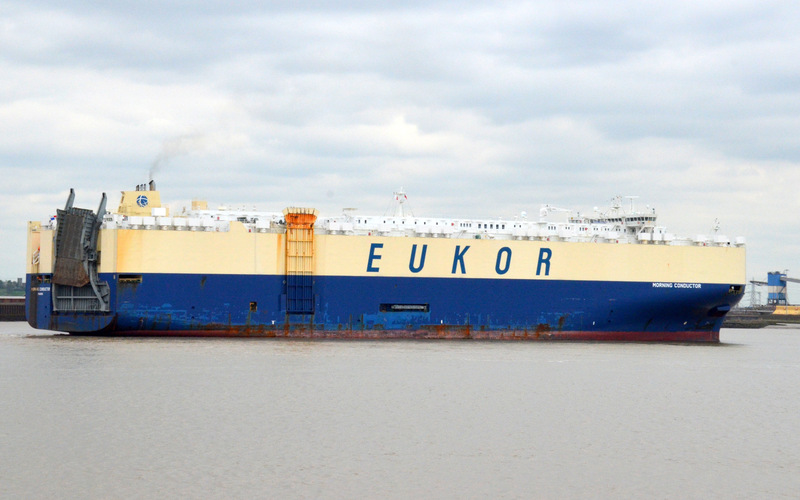 She was built in 2008 at 57,542 grt.